It’s always nice to see how the other half lives. In Alexander Gustafsson’s (pictured) case, it’s nice to see how the people on the other half of the planet live. On the latest edition of FUEL TV’s “UFC Insider,” the light heavyweight gave fans a tour of his house in Sweden. And his house is a home because the 26-year-old stays with his mother and grandmother. Not quite the ultimate bachelor pad, but his casa pretty much has everything a fighter needs. Training room with a cage – check. Weights – check. Indoor sauna – check. Jacuzzi – check. Someone making food for you – CHECK! 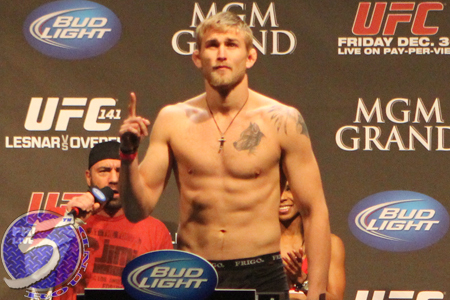 Gustafsson battles Gegard Mousasi April 6 at UFC on FUEL TV 9.